This was supplemented by a talk given by our Clinical Strategic Director, Dr Dermot Ryan, on ‘Characterising asthma patients prescribed off-license LAMA/LABA therapy without ICS’ which was a comment on Asthma UK’s recently published work on unsafe prescribing within Asthma Treatment (click here for a summary of the publication) which utilised OPCRD. Slides for this can be seen below as well. 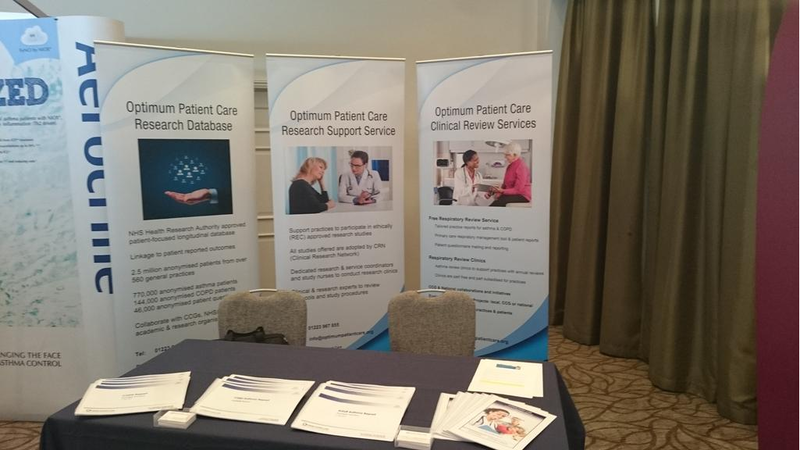 Finally we also had a stand in the exhibition hall advertising our free Clinical Review Service to the delegates. We had many interested parties and we hope this was the catalyst for many long collaborations to come.